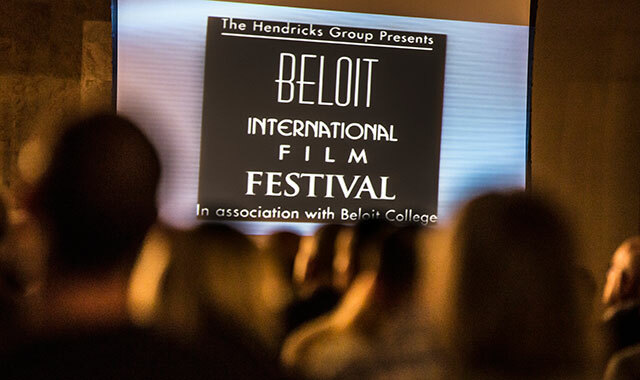 The people of Beloit have always rolled out the red carpet for filmmakers and movie lovers who attend the annual Beloit International Film Festival (BIFF). For 2015, BIFF’s 10th anniversary, Feb. 20-March 1, they’re pulling out all the stops. From a kick-off downtown block party on Feb. 20 and an all-downtown venue line-up, to Visit Beloit’s BIFF Weekend Getaway and a new setting for the Silent Film Showcase, organizers, business owners and community members are working to make it a special year. The 10th anniversary is an important milestone for this event, a grassroots enterprise that has grown each year since it began, both in scope and prestige. In 2006, the first BIFF screened 80 films over four days; this year, it will showcase more than 200 films, representing 40 countries, over 10 days. Excitement ran high about Visit Beloit’s BIFF Weekend Getaway, which awarded the winner a two-night stay at Beloit’s Ironworks Hotel for Feb. 20-21, a $100 gift card for Merrill & Houston’s Steak Joint, and two BIFF GOLD Passes to see any film, good for the run of the festival. Contestants entered online at the BIFF website, and the winner was drawn on Feb. 13. Film screenings begin at 5 p.m. and continue throughout the day and night on Saturday. All told, more than 100 films will be screened at BIFF on its opening weekend. “A big bonus at BIFF is that many filmmakers attend screenings of their films, and are available afterward for questions,” Krysztopa says. BIFF’s 2015 honorary chair is Randal Kleiser, who directed Grease, one of the top 10 most popular film musicals of all time. One of the most respected authorities on film technology, Kleiser will conduct a seminar on acting and directing, and another on film technology for visiting filmmakers and film students. A film sing-a-long was added to BIFF’s line-up last year, with the film The Sound of Music. This year, of course, it’s Grease. Lyrics appear on the bottom of the screen, and costumes are encouraged. First, the host will guide audience members on proper use of items in their free prop bag, suggest appropriate noises and motions (like booing the countess or cheering for Maria), lead a vocal warm-up, judge costumes and award prizes. During the screening, viewers may mimic the actions on the screen, dance, skip – anything goes. Grease (1978) was Kleiser’s first film, and he went on to direct many more critical and box office hits, including Flight of the Navigator (1986), featuring the first use of digital morphing in a motion picture; White Fang (1991) with Ethan Hawke; Honey, I Blew up the Kid (1996); and, using 70mm 3-D film stock, Honey I Shrunk the Audience, which was shown in Disney theme parks worldwide for a decade. The sing-a-long is being held at a new BIFF venue, Schubert’s Luxury 10 Theatre, 2799 Cranston Road in Beloit, as is this year’s First National Bank free Classic Film, To Kill a Mockingbird (1962), with Gregory Peck as Atticus Finch, Brock Peters as Tom Robinson, and Robert Duvall as Boo Radley. Regional films have always had a strong presence at BIFF and are popular among stateline attendees. Once again, these films and filmmakers are being showcased in a state-to-state competition for Audience Choice awards. During the first three days of BIFF, Feb. 20-22, dozens of films by Wisconsin and Illinois filmmakers will be screened in the second Wisconsin-Illinois Showdown, and audiences will vote for their favorites. The Wisconsin-Illinois Showdown Audience Choice Awards will be presented Feb. 27 at 5 p.m. at La Casa Grande restaurant. BIFF’s signature event is the Silent Film Showcase, the screening of a classic silent film as the Rock River Philharmonic provides the live musical soundtrack. The event, sponsored by BMO Harris Bank, this year has a new venue: the Castle @501. The former First Presbyterian Church at 501 Prospect St., Beloit, is being transformed into a community arts center. Since it began, the Silent Film Showcase has grown to become the most popular event of the festival, and for BIFF’s 10th anniversary, it will be screening 1925’s The Phantom of the Opera, starring Lon Chaney. The film will be accompanied by internationally renowned organist Bob Rub, who will play the original organ score on the Castle’s Henry Pilcher & Sons vintage pipe organ, with additional musical interludes from the Rock River Philharmonic, composed by Maestro Rob Tomaro. Also, periodically, soprano Gaia Galvan and tenor Scott Chachula will perform selections from the 2004 Andrew Lloyd Webber musical Phantom, accompanied on the piano by Lanette Calhoun. A big draw for all is the opportunity for audience members to meet and talk with filmmakers about the films that are shown. “We had a record 175 filmmakers show up last year, and we’re on our way to matching that,” says Beaudoin. Patrons may park on the street or in city lots, with continuous free shuttle service provided to each Beloit venue and the box office. Concessions are offered at several screening locations, and there will be full menu service at many of the restaurant venues. For information on lodging, restaurants, shopping and things to do while in Beloit, go to visitbeloit.com. For a full list of films, screening times and venues, visit online at beloitfilmfest.org. Tickets are sold at the BIFF Box Office, located at Visit Beloit, 500 Public St., Beloit, and may be purchased ahead of time or at the door. Online purchases can be made up to one hour before a screening. 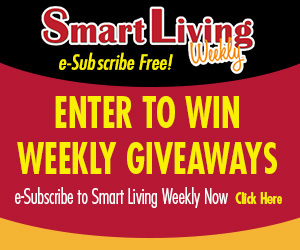 This entry was posted on Friday, February 20th, 2015 at 12:00 pm	and is filed under Arts & Entertainment, Top Posts. You can follow any responses to this entry through the RSS 2.0 feed. Both comments and pings are currently closed.